COLUMBUS—Columbus Metropolitan Library (CML) has hired Anthony Wilson as Director of Safety & Security. He begins his new role today, Monday, Oct. 22. In this new role, Wilson will be responsible for leading security operations and implementing safety and security measures across CML’s 23-location system. These efforts include loss prevention, establishing safety programs and emergency procedures, assessment and analysis of potential risks, policy and procedure development and vendor management. Wilson comes to CML after having served more than 25 years in central Ohio law enforcement, most recently as assistant chief of police for the City of Westerville. 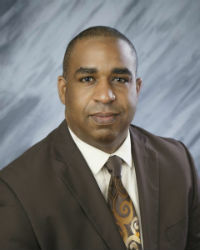 Kevin Smith previously held the role of Security Manager until his departure in late July. This director-level position is new to CML. NOTE: Electronic file of Anthony Wilson’s headshot is available upon request.